MEGAHERZ is one of the founders of Neue Deutche Harte. For over 20 years the band rocking the stages of the world and it has lost none of its impact. 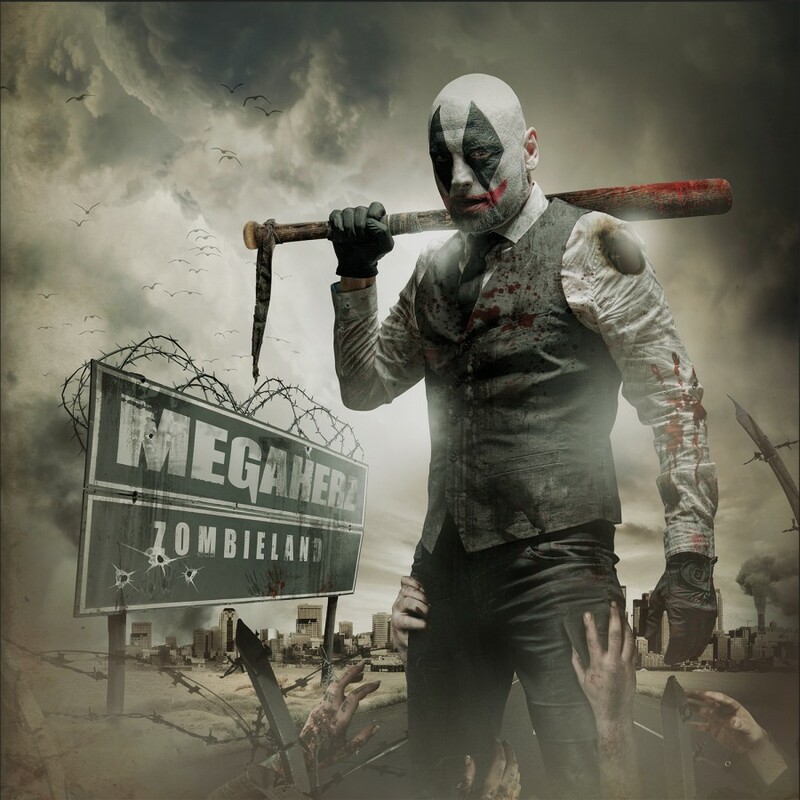 Best proof of this is the success of the last two albums "Götterdämmerung" and "Zombieland", both entered the Top 20 of the German album charts Megaherz (English "Mega-heart", a pun on the homophone "megahertz") is an industrial metal group formed in Munich, Germany in 1993. One of the band's most famous songs is "Gott sein" ("To be God") on their first full album Wer Bist Du? ("Who Are You?"). Megaherz has gone through many changes in musical style since their founding. Their early works are a fairly dark alternative metal, comparable to 1990s American bands such as Faith No More, whereas recent works are comparable to bands such as Oomph! and Rammstein. Their early albums all include at least one song based on a classic German fairy tale, including "Rapunzel" on Kopfschuss, "Windkind" ("Wind child") on Himmelfahrt and "I.M Rumpelstilzchen" on Herzwerk II. The band has changed line-ups since its formation in 1995, usually changing guitarists and drummers. Guitarist Christian Bystron and bassist Wenz Weninger have been the band's only consistent members since 1997.